“Governments come and go, of different colors and flags, and all they do is make things worse,” he said. In 2006, the EZLN sparked controversy when it refused to endorse the campaign of presidential hopeful Andres Manuel Lopez Obrador. Obrador was the favored candidate for much of the Mexican left. Instead of backing Obrador, the EZLN led the Otra Campa?a (Other Campaign) during the 2006 presidential race. This campaign sought to promote changes to Mexico’s constitution, including proposals to enshrine protections for indigenous autonomy. 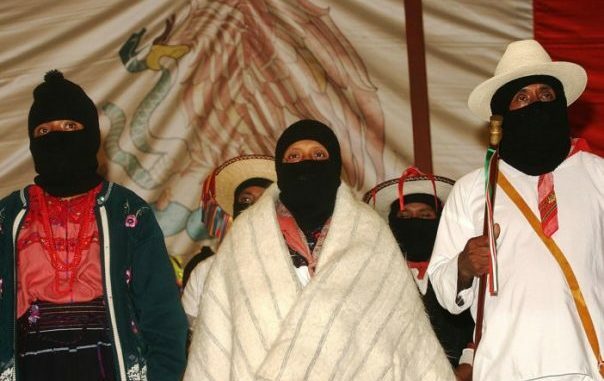 Although the campaign significantly broadened the EZLN’s support base beyond Chiapas, some on the left claimed the move drew attention away from Obrador’s election campaign. Obrabor lost to the right wing Felipe Calderón by less than 250,000 votes. Obrador is planning a comeback in 2018. “Now, the National Indigenous Congress calls us to a struggle we can all participate in, regardless of age, color, size, race, religion, language, salary, knowledge, physical strength, culture or sexual preference,” he said. Ryan Mallett-Outtrim is an independent Australian journalist based out of Mexico. More of his work can be found at?dissentsansfrontieres.com.